Maybe long talons aren't your style. But you do want healthy, beautiful nails that can get a grip on things without splitting. 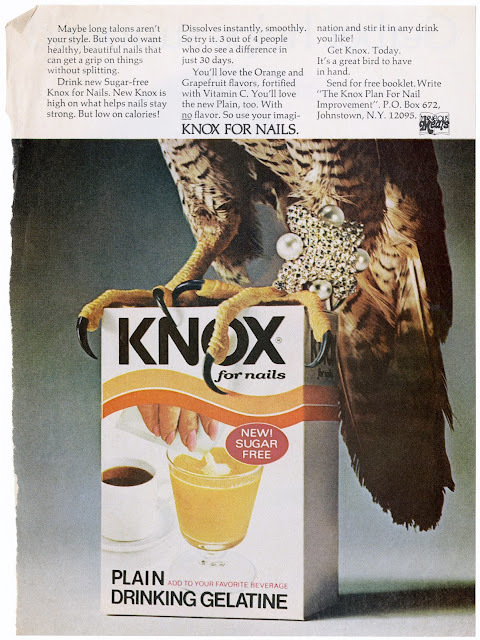 Drink new Sugar-free Knox for Nails. New Knox is high on what helps nails stay strong. But low on calories! Dissolves instantly, smoothly. So try it. 3 out of 4 people who do see a difference in just 30 days. You'll love the Orange and Grapefruit flavors, fortified with Vitamin C. You'll love the new Plain, too. With no flavor. So use your imagination and stir it in any drink you like! Get Knox. Today. It's a great bird to have in hand. 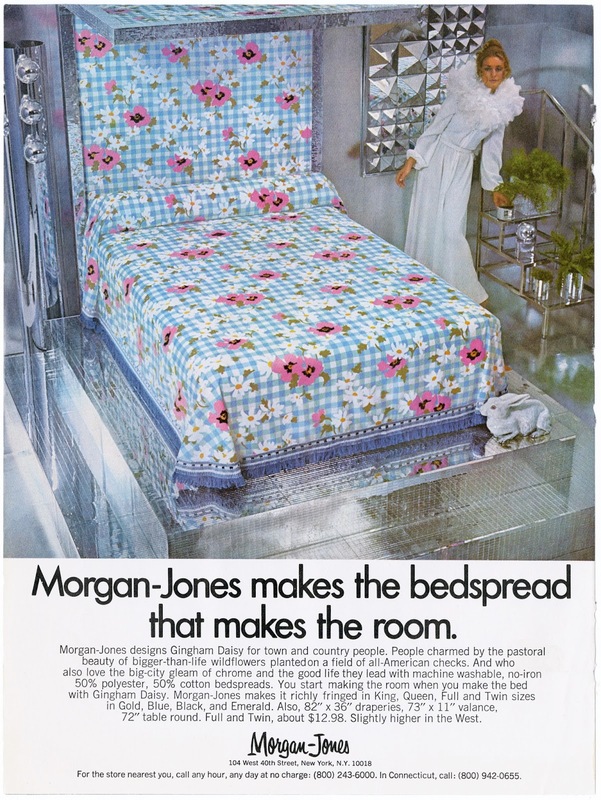 Morgan-Jones makes the bedspread that makes the room. Morgan-Jones designs Gingham Daisy for town and country people. People charmed by the pastoral beauty of bigger-than-life wildflowers planted on a field of all-American checks. And who also love the big-city glean of chrome and the good life they lead with machine washable, no-iron, 50% polyester, 50% cotton bedspreads. You start making the room when you make the bed with Gingham Daisy. Morgan-Jones makes it richly fringed in King, Queen, Full and Twin sizes in Gold, Blue, Black, and Emerald. Also, 82"x36" draperies, 73"x11" valance, 72" table round. Full and Twin, about $12.98. Slightly higher in the West. 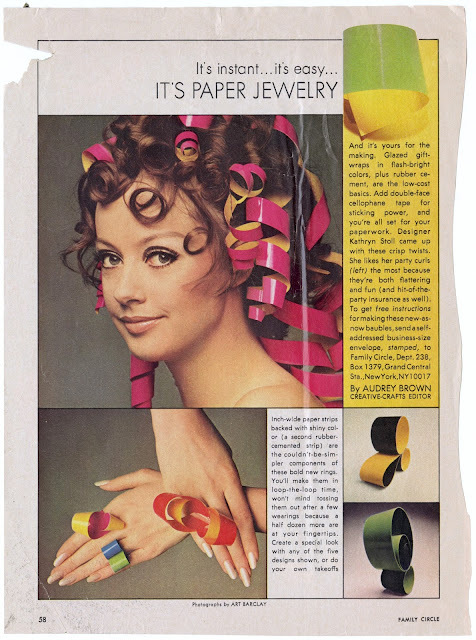 Inch-wide paper strips backed with shiny color (a second rubber-cemented strip) are the couldn't-be-simpler components of these bold new rings. You'll make them in loop-the-loop time, won't mind tossing them out after a few wearings because a half dozen more are at your fingertips. Create a special look with any of the five designs shown, or do your own takeoffs. DISCLAIMER: The sharing of the above vintage image is for educational and referential purposes only. Copyrights are most likely still held by the original publisher/artist. 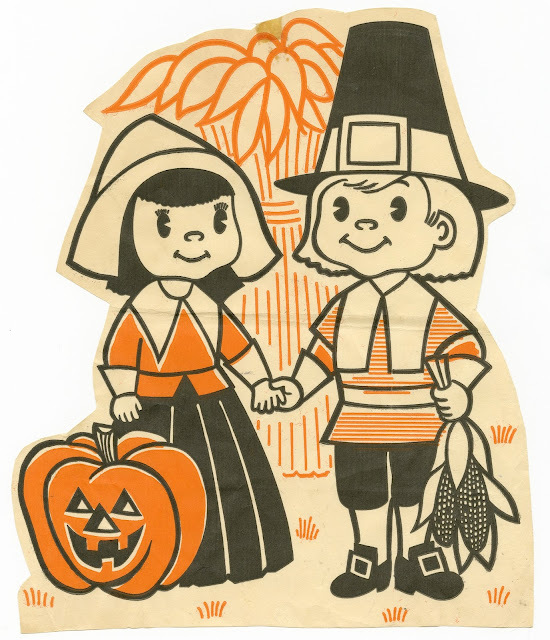 Use of this image for reproduction and/or derivative works for resale may be illegal and an infringement of the original publisher/artist's copyrights. So, in other words, don't make things with this image. It's illegal; it's wrong; and it could cost you a truckload of money when you get sued. 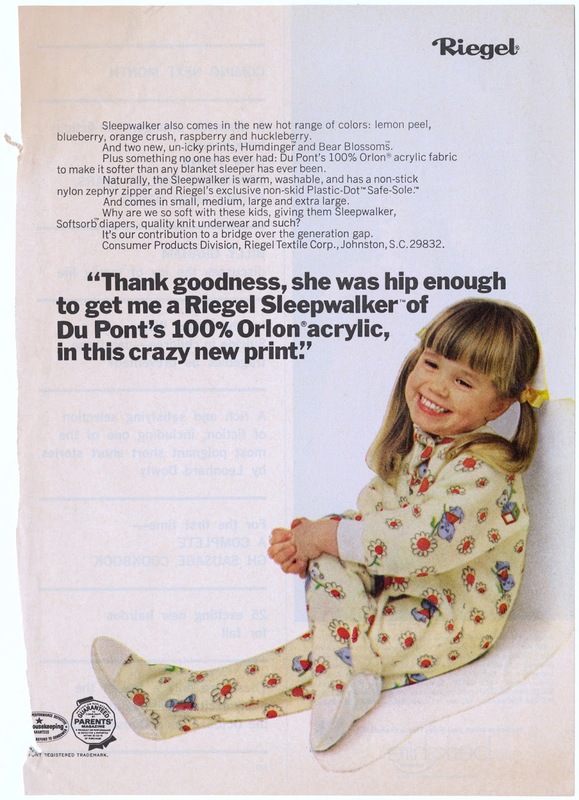 "Thank goodness, she was hip enough to get me a Riegel Sleepwalker of DuPont's 100% Orlon acrylic in this crazy new print." Sleepwalker also comes in the new hot range of colors: lemon peel, blueberry, orange crush, raspberry and huckleberry. And two new, un-icky print, Humdinger and Bear Blossoms. Plus something no one has ever had: DuPont's 100% Orlon acrylic fabric to make it softer than any blanket sleeper has every been. Naturally, the Sleepwalker is warm, washable, and has a non-stick nylon zephyr zipper and Riegel's exclusive non-skid Plastic-Dot Safe-Sole. And comes in small, medium, large and extra large. Why are we so soft with these kids, giving them Sleepwalker, Softsorb diapers, quality knit underwear and such? It's our contribution to a bridge over the generation gap.